Among the new generation of Indian restaurants specialising in lighter sauces and a more eclectic menu, Quilon is the sister restaurant of the famous Bombay Brasserie. The interior is an elegant mix of rich muted colours and the bar is a particularly popular place to meet. The delicious food is described as 'Coastal Cuisine' and dishes such as seafood, crustacea and a variety of specialities are available. Dishes includes Char-grilled shrimps with lime and chilli, lobster with tangy Goan pickle and fish curry with coconut. 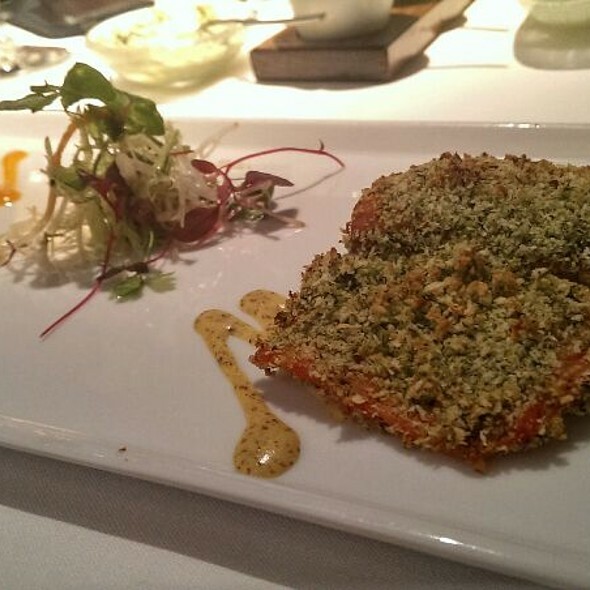 Quilon was awarded its first Michelin star in 2008 and received a Wine Spectator Award of Excellence in 2009. Great for business dinners—quiet with exceptional food and service. First time to The Quilon and decided for the seafood tasting menu with wine pairing as there were a number of very good looking food items. We were encouraged by the server who was very welcoming when we sat down and highlighted that the tasting menu items are seasonal. The cadence of courses and quality were excellent - very well trained staff who explained each of the dishes and wine pairings in detail. The plating was very good and highlighted the quality of the place. 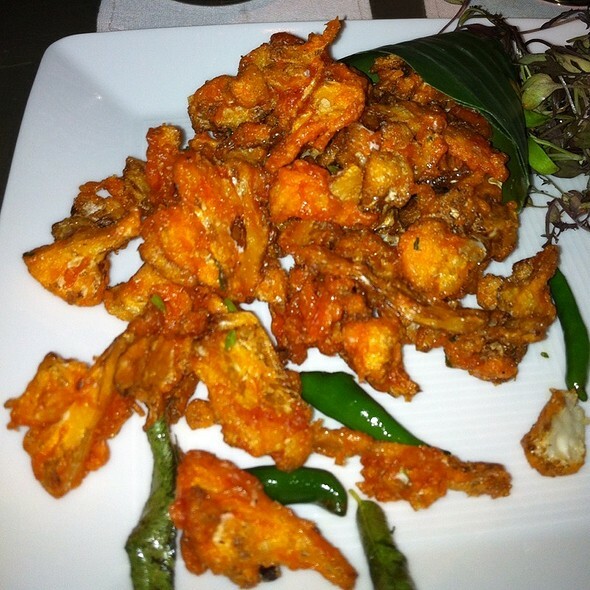 The spice was medium which gave a nice warm feeling but very manageable overall to enjoy the aqua lite of food. Would highly recommend this place for a special occasion, business meeting or quality Indian meal. I’m not a fan of Indian food. 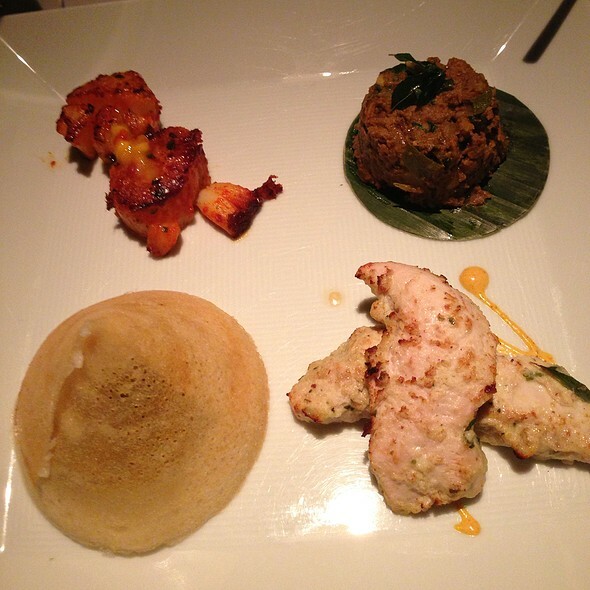 However, The Quilon gave me a different thought. Service is excellent. Seafood is quite delicious because I’m not used to some of Indian spices. Overall, everyone should try it! 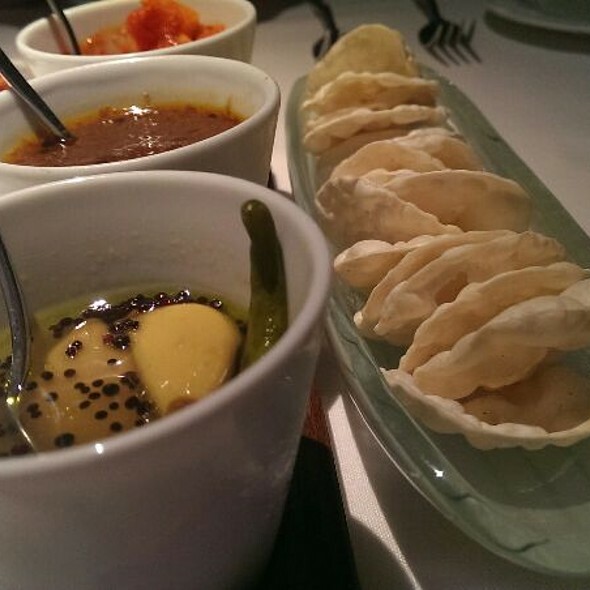 I’ve been to Quilon twice now and the food is always spectacular, but the service both times was incredibly slow. The last time I went we’d been there almost an hour and a half before our entrees came, and that was after we requested they be brought out. As a result we ended up having to rush our meal because a few of us had to leave to make appointments. I highly recommend the restaurant for the food and ambience, but advise that you budget at least 2.5-3 hours for the meal, which can be difficult to do during a work day. Disappointing meal. Indifferent service for much of the night. Tasting menu was inconsistent. It is my favourite Indian restaurant. The service is outstanding and the food is delicious. I definitely recommend it. Lovely food, authentic South Indian dishes. It was however a business meal which is attached to a specific spend per head. It was tough to work out costs as this is not evident on the website menu to manage this well. Perfect date night location and atmosphere. Service was quick and attentive and very knowledgeable of the menu. Several tasting options and a good variety of small plates if you want to try a bit of everything. Flavor was delicious! Especially the lamb appetizer and the scallion pancake? Would definitely return. Very friendly welcome and friendly, helpful staff throughout the evening. Really excellent service. Ambience is spot-on too, not too noisy, good lighting, good spacing of tables. We had a table for two sat side-by-side, which we really loved - we normally try and sit this way in restaurants whenever we can anyway, but this usually means sitting on one side of a table for 4, which isn't always possible. Great to see they offered this option - so much better to be able to sit close and talk to your partner without to lean across a table. We had the seafood tasting menu, which had plenty of variety across the courses and presentation. The first few courses, in particular, were absolutely outstanding. The only minor criticism is the main course (curry) and dessert were not quite as good as the first few courses.... but that's only because a very high bar had been set. 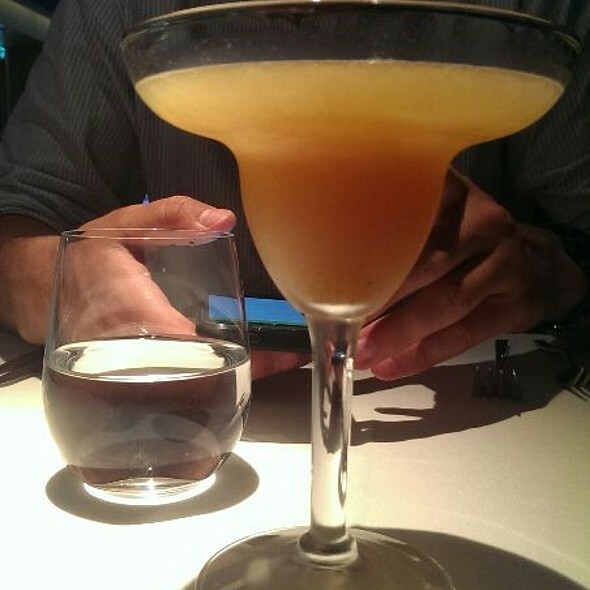 Cocktail menu is terrific too, with some really wonderful and unusual cocktails. 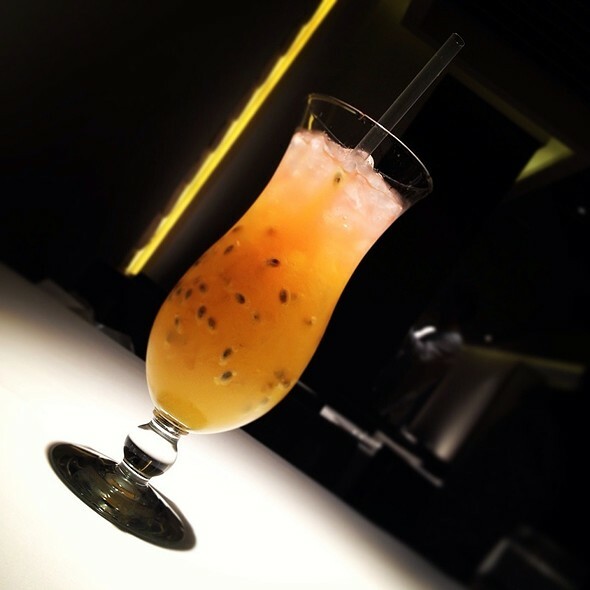 Our favourite was "The Queen of the Damned", with apple sour and liquorice. Really lovely! Excellent food, spiced perfectly to order. Great service, accommodating of our need to make a theatre curtain. The restaurant is well placed for “Hamilton”. Great food, rich in every aspect, and with a level of spicyness suitable for Europeans. Only issue is to book early. We booked at 21:30, which was the earliest available time I open table. When we ordered the set menu, told us the kitchen was going to close in one hour so they would speed up. It was too quickly, and when they brought tea and coffee, handed over the bill, which felt a bit rude. Great service, wonderful food, and considering everything a pretty good value. Excellent food quality. All ingredients are high quality and authentic taste. Nice ambience and very good service with freindly staff. Very good value for money. However Lunch menu is limited in choice and ordering extra items for additonal cost is not choice on menu. I love their spicy food, and I've been here a bazillion times in the last 2 years, but the meat entrees (especially the fish), tends to be (but not always) overcooked. I had dinner here 2 evenings in the last 4 nights and the entree on the first night (bass) was overcooked as was the entree on the second night (roasted chicken). It turns out OK because whatever spices they use, it does a good job of covering up the badly prepared meat. :-) Otherwise, the spinach (both nights) was outstanding - oh my god, it was wonderful. Excellent texture, not overcooked, nicely dressed with mustard seeds and coconut. The lemon rice (both nights) was also excellent as was the malabar paratha (thin, fried bread). My favorites, however, are the numerous dipping sauces they provide with the small wafers. I love that platter! Service can be incredibly good (as it was these two past visits) or so-so or not very good (as it has been on other visits). 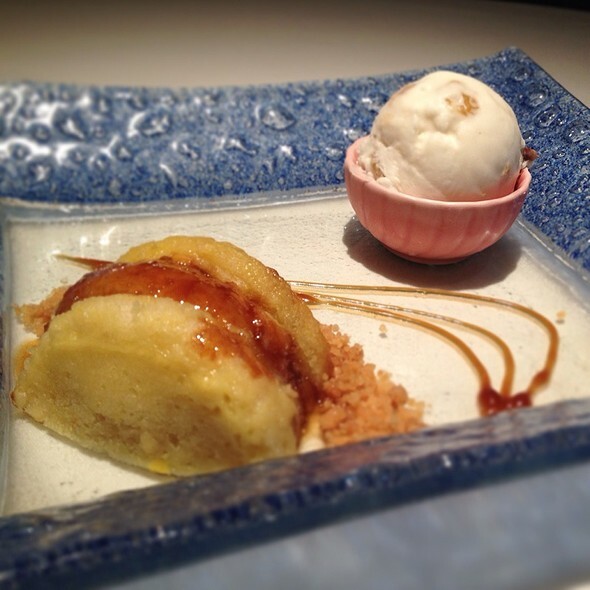 Sleek, modern restaurant serving delicious food from wide choice on the a la carte menu. The most elegant introduction to Southern Indian food possible! The room is spacious but gives diners privacy. 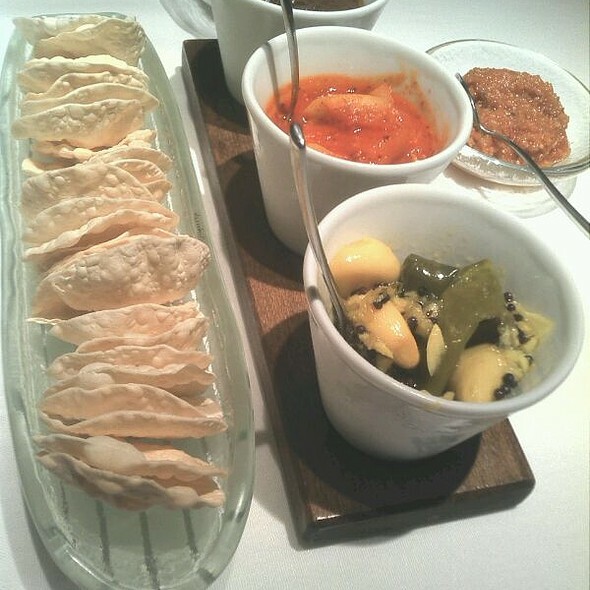 The sand dollars accenting the walls are mirrored in the mini-papadum crackers that arrive as an amouse-bouche with three unusual chutneys: tamarind, pickled lemon, and fiery chili. 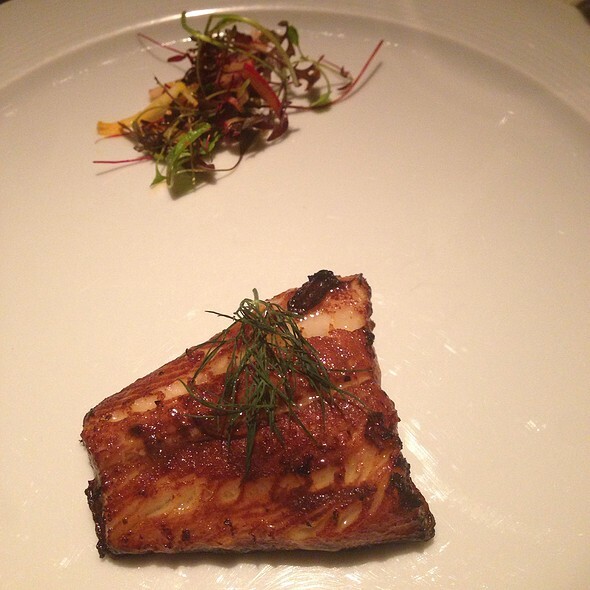 You are presented with many options: tasting menus, sampling menus (different from tasting), and ordering a la carte. Every menu item is noted meticulously with possible allergens. Service was attentive, intuitive and friendly (our server really made the effort to get to know us). Food was OUTSTANDING -- classic influences layered with contemporary creativity, perfectly prepared. Many generous extras were brought to the table (e.g., an order of fried okra) gratis. We can't wait to go back. Quite disappointed with food - had high expectations after reading the menu & some reviews! The shrimp was over cooked & deep fried as was the okra! Broth to start was lacking in flavour & the palette cleanser soup of tomato & lentil tasted like a cup-of-soup! Excellent food and service. Loved it!! An absolutely fantastic restaurant. The staff were kind and attentive and made excellent recommendations. The food was some of the best I have ever had in London. We will be returning. Thank you so much for a great evening. 8th visit and still blown away every time by the quality of the food and service. Fabulous meal, suited my husband and I perfectly - which given that I’m not a fan of things too spicy and he loves a vindaloo - is a huge credit to their tasting menu which was full of flavour yet not too spicy. Service was great - a little speedy at first but it settled into a leisurely pace which was lovely. Staff were friendly, attentive and the ambiance was wonderful. Me and my Friends much enjoyed that evening. The only negative Point I have to Mention are the quiet used Looking menu-cards. That shouldn't occur in a Restaurant of this Level. Also very kind service by the staff. Lunch times are generally quiet too. Everything was almost perfect other than a little erratic service. Took a bit of hand waiving to get the next glass of wine. And the maitre’d was too loud and aggressive! Crispy Okra, Lemon Rice, Fish, and Potato Cauliflower dish were too good. Were served an anniversary special dessert, Wow'd us with their surprise and patience while order selection. GEM OF A PLACE. A disappointing food preparation! Wonder who gave them the Michelin rating!! Best meal my family had while visiting London!